The following discipleship resources are recommended for use in personal and group discipleship at GBC. The church maintains a limited supply of these resources which are available at cost. Note: A recommendation here does not imply unqualified endorsement of the contents or endorsement of other works by the same author or publisher. Because all human authors are fallible, biblical discernment is always necessary. This is a good primer for brand new believers. Designed for independent study, it can easily be completed in 4-8 sessions. Section One has a concise (2 pages each) treatment of the following eight topics: eternal life, assurance, God's Word, temptation, prayer, witnessing, church attendance, and dedication. Section Two contains additional helps for Christian growth such as a daily quiet time plan, verses for victory, a personal prayer journal, and more. Published by Positive Action for Christ. 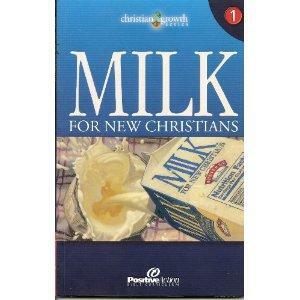 This is book 1 in the Christian Growth Series. It is designed for new believers. Each of the 8 chapters is 8-10 pages in length. Most of the questions can be answered through independent Bible study. The chapters cover the topics of assurance of salvation, conversion, God's Word, how to study the Word, prayer, sharing your faith, baptism, and the church. This is an excellent systematic overview of Christian doctrine. The book contains nine chapters (9+ lessons). 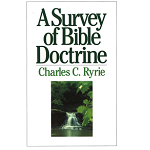 This is a very readable, condensed version of Ryrie’s textbook, Basic Theology. This is similar to Sanders’ classic work, Spiritual Leadership, but written for all Christians, not just those in leadership positions. 20 chapters. Includes a small group study guide. 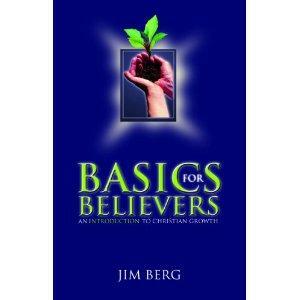 This is a group study workbook that covers the basics of gospel-based, love-driven evangelism. In eight lessons it covers biblical foundations for evangelism, gospel presentation, handling objections, and guidelines for child evangelism, workplace evangelism, and discipleship. It requires reading in Walter Chantry’s small book, Today’s Gospel: Authentic or Synthetic. Includes worksheets and verse memory cards. See also the companion Teacher's Manual. This is a very good layman’s book on genre-specific hermeneutics.